The girl was holding flag in front of Capitol. I guess she was around 10. There was a little pink stuffed pig on top of the flag. It was cute and it was touching. This is what democracy looks like. Age does not decide who participates. 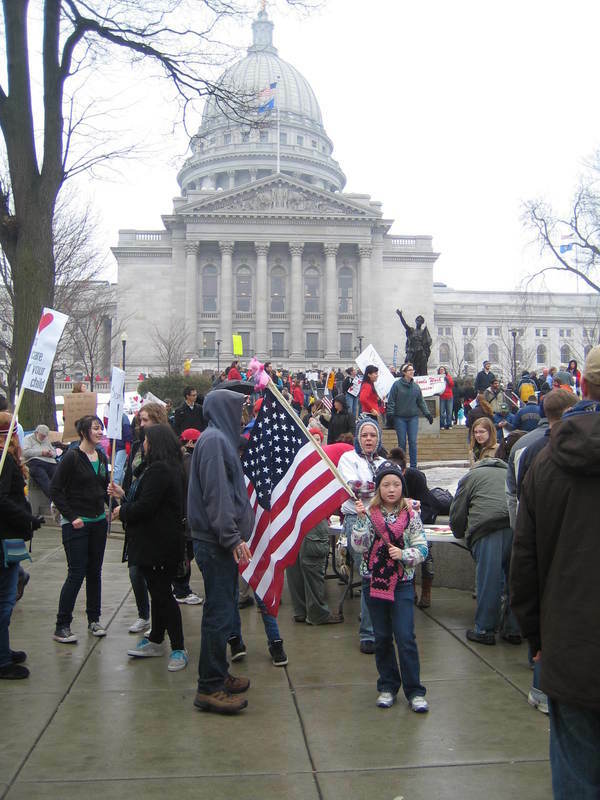 Tang, Jacky, “The girl holding flag,” Wisconsin Uprising Archive, accessed April 21, 2019, http://wisconsinuprisingarchive.org/items/show/192.